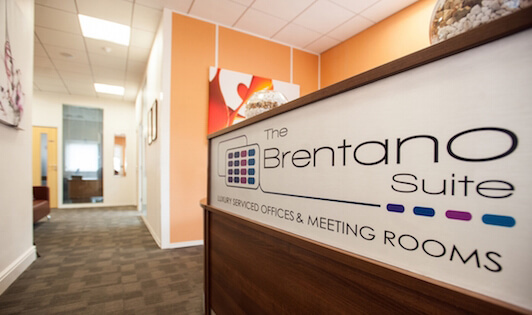 The Brentano Suite offers a modern, boutique office environment, providing flexible office solutions to fit your business needs. Our site in Elstree is situated minutes from Junction 4 of the M1 and Junction 19 of the M25, on the outskirts of London. Our 4 other North London sites in Finchley, Whetstone, Brent Cross and Hampstead Gardens are all near public transport facilities and just yards from all the major shops and transport links. In North London we are proud of our reputation of being the best and most luxurious service office providers and the very small turnover of tenants bears testimony to this. Where we are at full capacity we do operate a waiting list so please get in touch with the relevant centre managers to be part of our community.